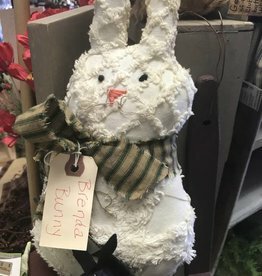 chenille rabbit - Between Us Sisters, Inc.
Brenda Bunny is made from a vintage chenille bedspread. She has a homespun bow and a felt flower on front of her. Facial features are hand stitched.